How does the exemption agreement works? For the benefit to be applied, the agreement allows no longer than 90 days as the period of time for businessmen in business trips, students doing short courses, journalists doing coverages, or artists doing exhibitions. Could the countries part of the agreement deny me entrance? Yes. 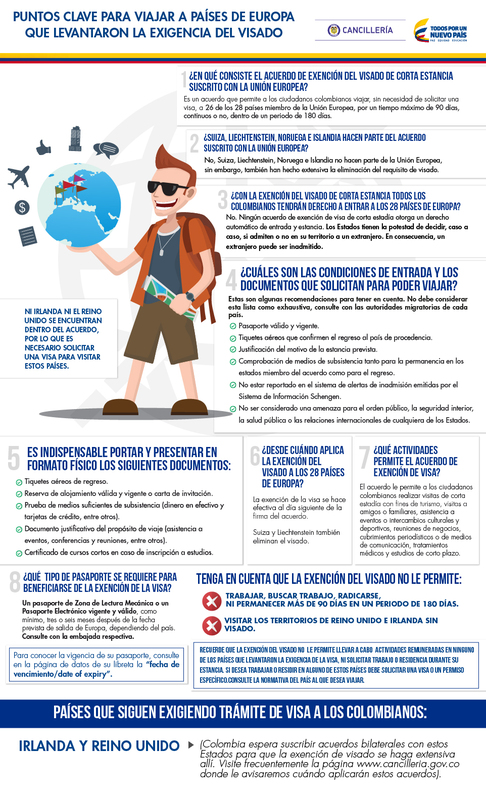 The agreement consider that each country is autonomous to admit or not travelers that come from other places. Also they can demand that people should not be in the immigration violators list or in the list of security or health threats for the EU. Learn about the restrictions and benefits of the agreement. Which are the documents required to travel?